Search all condos for sale in Nassau, Bahamas below! Nassau is home to an abundance of condo and townhome options for buyers seeking a maintenance-free lifestyle in the Bahamas. Condo complexes range from more modest and affordable units to lavish, luxury suites with stunning ocean views. Condos in Nassau are a fantastic option for buyers looking for a second home in the Bahamas, and can provide a great source of rental income for when you are not residing at the property. It's a win-win as an investment. Browse all Nassau condos for sale below, or keep reading about the resort-style amenities found at condos in Nassau. Nassau condos for sale vary widely, making this real estate option accessible for a diverse range of buyers. From starter condos and investment properties to expansive luxury condos on the beach, there are real estate options to suit every type of lifestyle and budget. Luxury condos overlooking the sparkling waters of the Bahamas can be found with over 3,000 square feet of living space. These upscale residences offer resort-style living close to the beach and the fantastic commercial amenities of downtown Nassau. Many condos in Nassau can be found furnished, and brand new construction developments are also available for purchase. Nassau is the ideal location for condo buyers who want an authentic Bahamian experience, paired with award-winning restaurants, upscale shopping, top-notch entertainment options, and a vibrant lifestyle. Quiet, laid-back areas can be found on the island for those who are seeking a more relaxed lifestyle, but city amenities are still within a short driving distance of more secluded spots. 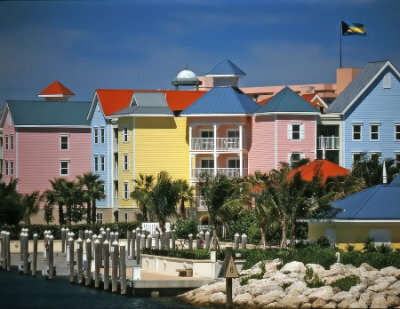 Want to learn more about condos for sale in Nassau, Bahamas? Our agents are experts on The Bahamas real estate market and will be happy to answer your questions. Contact Dupuch Real Estate online or call 242-393-1811 today!